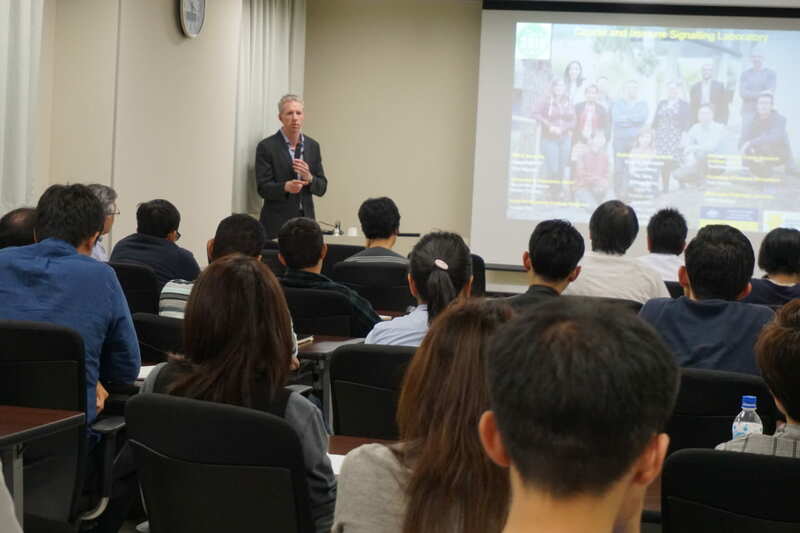 On October 1st (Monday), NanoLSI invited Professor Brendan Jenkins from the Hudson Institute of Medical Research, Monash University, Australia and held an Open Seminar at the Cancer Research Institute, Kanazawa University. During the seminar, Prof. Jenkins introduced the latest research results on innate immunity mediated by Toll-like receptor (TLR2) and inflammasome by ASC in the development of gastrointestinal and pancreatic cancer. 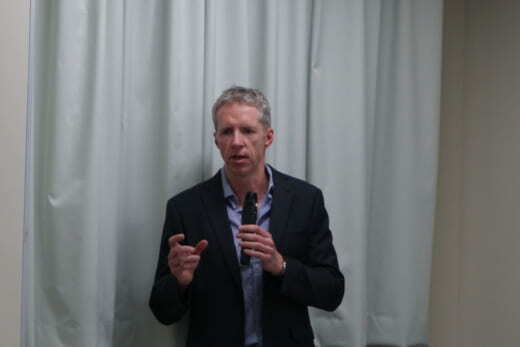 In addition, he gave a talk about the current state of clinical development based on the basic research, and since the activation of these innate immune responses in tumor cells promotes the survival and proliferation of cancer cells, it is an important target for the development of novel anticancer agents. Approximately 34 participants including faculty members and graduate students attended the seminar, and had lively Q&A discussions after the lecture.